If I can recommend one summer party for you to attend, the annual Brewery And The Beast would be it. 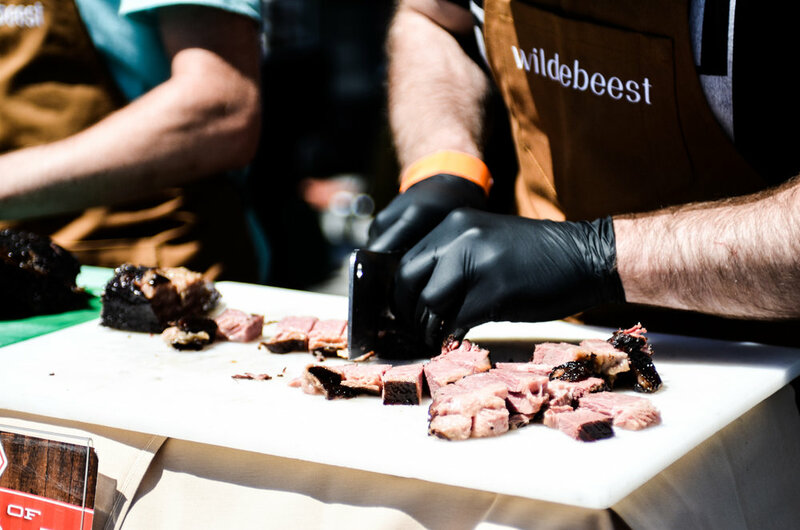 It's an outdoor culinary adventure featuring more than 50 of Vancouver and Whistler’s top chefs, cooking up all the meat-centric dishes you could ever imagine. 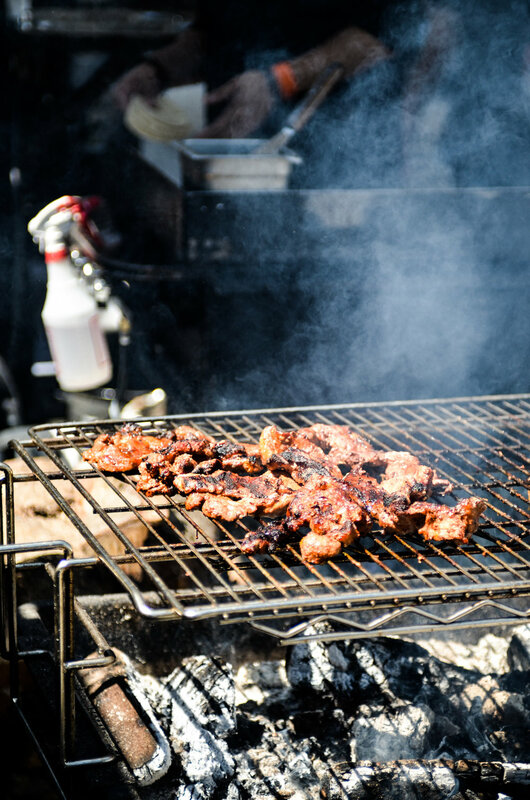 You never know what you're in for, but you know something epic is coming your way when it's preparation varies from barbecue, sous-vide, to smoked, grilled, and slow-cooked. The festival believes by providing a tangible experience of how local produce taste, information about the farms they come from, and where the products can be purchased; we strengthen our local and regional food systems while continually supporting the local restaurant and food & beverage industry. I can't think of a better way to be converted into a conscientious consumer than to spend an entire afternoon filling my belly with carefully sourced and responsibly farmed meats and washing it all down with local craft beers. The first thing you should do is to locate Two Rivers Specialty Meats, the founding sponsor of Brewery and the Beast and find out about their serving times. They serve different cuts of meat each hour so just make sure you make your way back 10 minutes in advance for a taste. Every year, they always have their enormous tomahawk rib roasts (dry-aged for 45 days prior) on the spit and my goal is to cop one of those two-foot steak bones for the gram! Campagnolo Restaurant served their Whole Salt Roasted Berkshire Pork with wild herb & bread salad, and meat juices. An essential stop throughout the day: Phillips Brewing Company’s legendary 35-tap “Gypsy” wagon for high-quality craft brews. Beers not your thing? No problem. There will always be ider from award-winning Left Field Cider Co; premium BC wines; Phillips homemade sodas; specialty coffees; and refreshing selections of Kombucha tea. Team Torafuku on Charcoal Lamb Belly with satay sauce, braised cabbage, confit tomato, scallion chimmichuri. Nightingale served something a little bolder Grilled Duck Hearts & Gizzards with dark soy, furikake, cilantro — this was definitely a first for me and probably something I won't have on the daily, ha! Chef Felix Zhou of Heritage Asian Eatery on Seared Boneless Short Rib: Korean chili paste fermented, chimichurri sauce, taro root crisp. La Mezcaleria's Boar or Rabbit Barbacoa Taco with morita roasted salsa, lime wedge; how about one of each please! Barbacoa is a form of slow-cooking meat over an open fire covered with maguey leaves, AND SO WORTH IT — the boar & rabbit were so tender! Wildebeest's elaborate set up for their Cache Creek Beef Brisket: 3 week brine, 14 hour smoke, house made mustards, hot sauce, pickled Houweling’s tomatoes, heirloom vegetables. Juke Fried Chicken were serving the BIGGEST Crispy Turkey Wings I've ever seen, seasoned with preserved lemon, fermented chili, sesame. SUPER TASTY! Now last but not least — Two Rivers Specialty Meat's Cache Creek Dry Aged Prime Rib was the moment you've been waiting for and straight fire as expected. Tickets to Brewery & The Beast are $99.95 plus tax and go on sale Tuesday, May 1, 2018 at 10 a.m. PDT. Prices include all food and beverage offerings, and are available for purchase online via the event website. Tickets are limited and are only sold by advanced purchase. Brewery & The Beast is a 19+ event. Partial proceeds benefit the BC Hospitality Foundation and The Hawksworth Young Chef Scholarship Foundation. THANK YOU SO MUCH FOR MAKING IT THIS FAR xo. I had so much fun last year and would 100% do it over again. If I have the opportunity to return to Brewery & The Beast this year, I'll definitely write a survival guide cause my game plan will ensure everyone gets to visit each station at least once. Did I manage to tempt you to cop a ticket? Well don't hesitate for too long because this summer festival sells out quick!